The month-long run opens January 21 in Mobile, AL with shows scheduled to late February in Seattle, WA. Presale tickets for most shows start November 2 at 10:00 AM local time, with general public seats available November 4 at 10:00 AM local time. 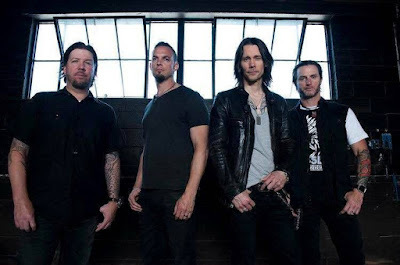 Alter Bridge recently debuted their fifth album, “The Last Hero”, at No. 8 on the US Billboard 200 with opening week sales of 28,000 units (27,000 in traditional album sales). The feat marks the first time the band have been in the US Top 10 since their debut, “One Day Remains”, debuted and peaked at No. 5 on the charts in 2004. Alter Bridge will launch a series of European dates in Bilbao, Spain on November 4.